After seven years in our old buildings in Alkmaar and Uithoorn we quickly settled into our new building in Oudkarspel (45 km from Amsterdam), which we moved to in June 2008, combining all our departments into one and giving us a great environment to operate in and grow the business over the coming years. To round off what was quite a successful year for E-TEC in the Netherlands, we decided to hold an official opening ceremony with specially invited guests which took place on 12th December 2008. Approximately 200 guests, including a large number of customers, suppliers, the alderman of the local city of Langedijk, as well as colleagues from our sister E-TEC companies in Ireland, United Kingdom and Germany were in attendance. 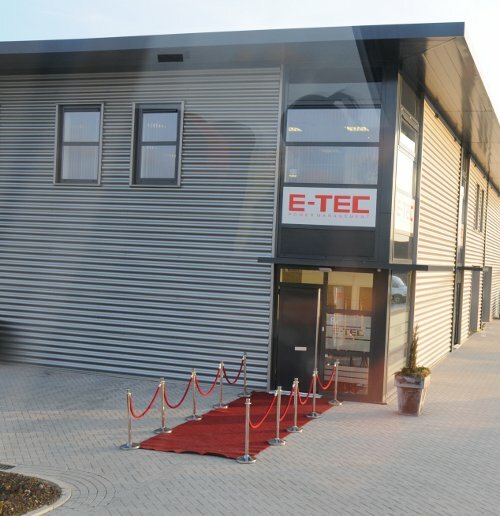 During the course of the day guests were guided through the building starting in the E-TEC “cinema” where our PEARL software was showcased and future developments discussed, before progressing through our offices and finally to our warehouse where various presentations were made. With some of our products on display, guests mingled, met members of staff, and availed of drinks and refreshments in what was a very pleasant and memorable atmosphere. We would like to thank all our guests for taking the time to come and visit us and making the day a great occasion, and one we will not forget! Management and Staff, E-TEC Power Management NL.